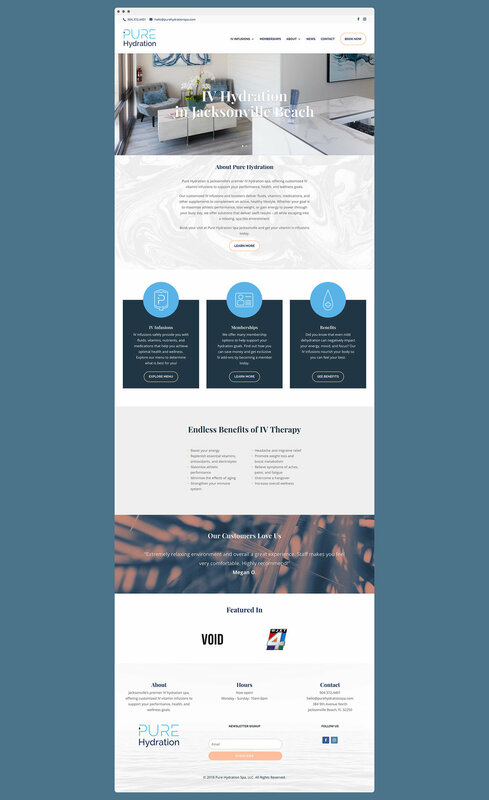 The owners of Pure Hydration approached me to develop a comprehensive brand for their IV drip spa that would appeal to a wide audience while instilling a sense of relaxation and revitalization. The overall brand needed to walk the line between a sports recovery product and a boutique spa. I wanted to create a sleek and modern logo that easily translated to a variety of mediums while retaining both feminine and masculine qualities. 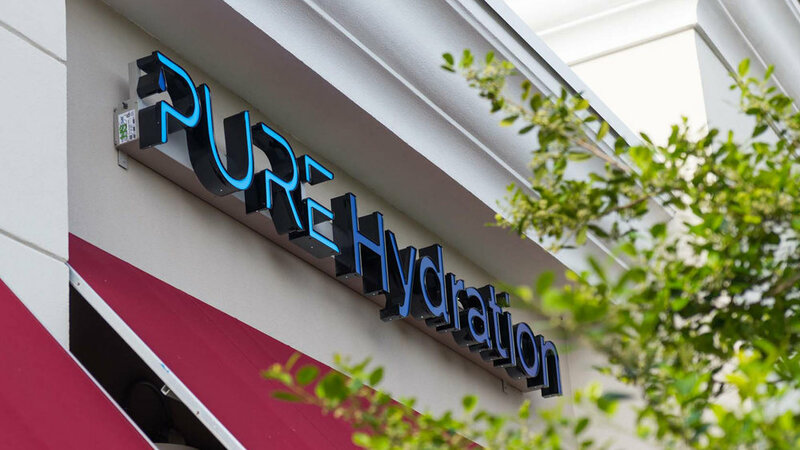 As the first IV Hydration spa in Jacksonville Beach, Pure Hydration had the challenge to market themselves to the masses and to educate the consumer about IV Hydration and the health benefits related with it. I developed a comprehensive brand that is bold and energetic while still retaining a spa-like quality in order to capture a wide audience. The primary palette uses rich blue tones while the secondary palette utilizes slightly desaturated colors with a splash of peach to add a bit of warmth. The logo is based off of the font Raleway with some slight customization resulting in a dynamic treatment that subtly relates back to the IV hydration process. The iconic drip draws the eye in before getting swept away by the smooth segmented lines of the letters. The uppercase letters demand attention while lowercase letters help to make the overall mark more approachable. Once the brand was laid out we built the website with education in mind. 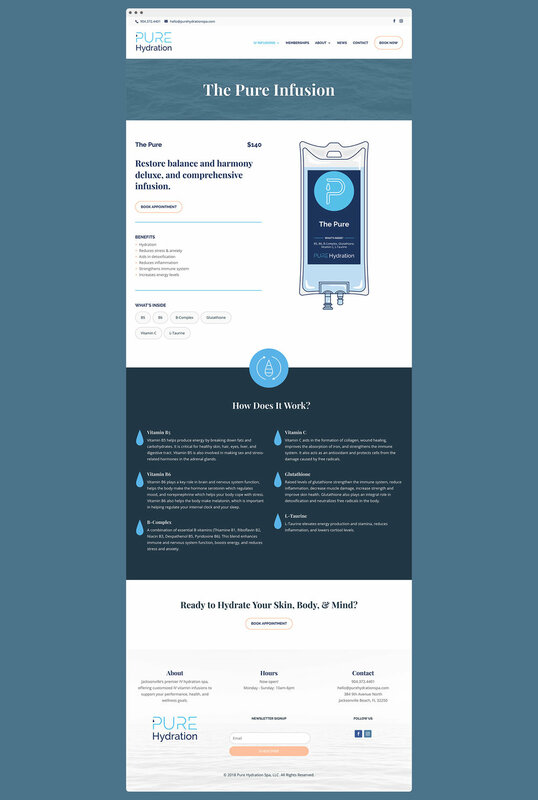 Each page is full of information about the company and the benefits of IV Hydration. 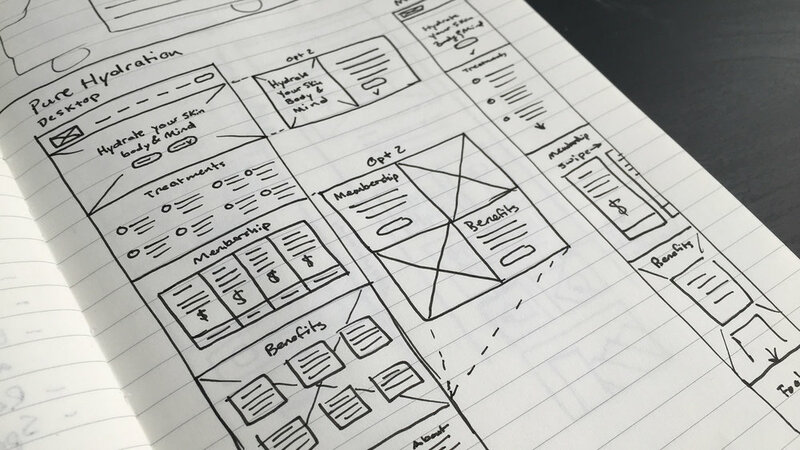 Simplicity is at the driving core of the site. We made sure the user can easily book an appointment or quickly get to the contact page in order to begin communication with Pure. 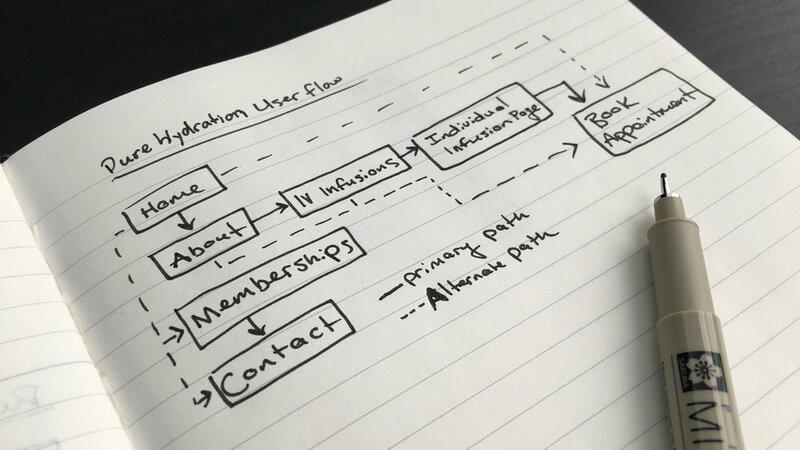 By thinking through the different customer personas we were able to come up with 8 different IV concoctions to offer. 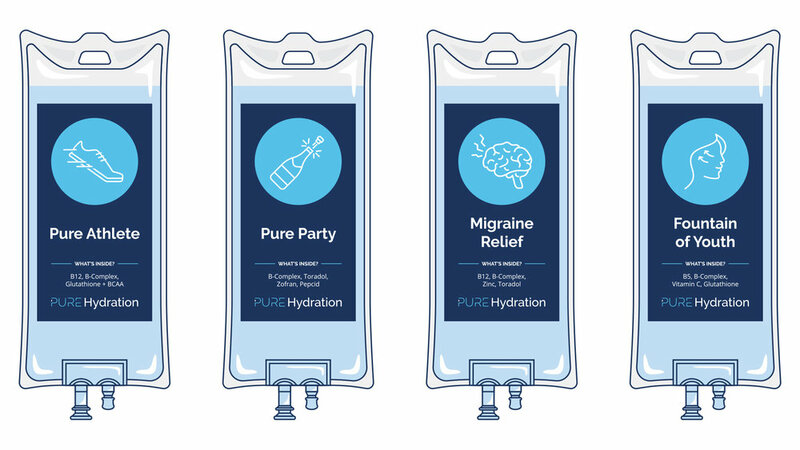 Each IV bag is specially formulated to cater to a different target audience ranging from professional athletes to late night party enthusiasts to the trendy health conscious person.